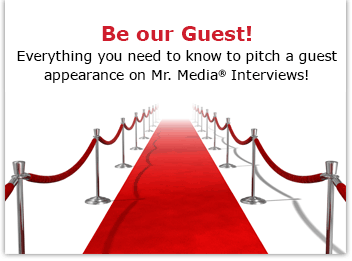 You can watch Baby Blues co-creator and 2013 Cartoonist of the Year nominee Rick Kirkman sketch characters from the daily newspaper strip in the exclusive Mr. Media® video interview above! Mr. Media is recorded live before a studio audience of sleepless, brainless new parents who have given up their previous status as masters of the universe in exchange for being masters of the Diaper Genie… in the NEW new media capital of the world… St. Petersburg, Florida! 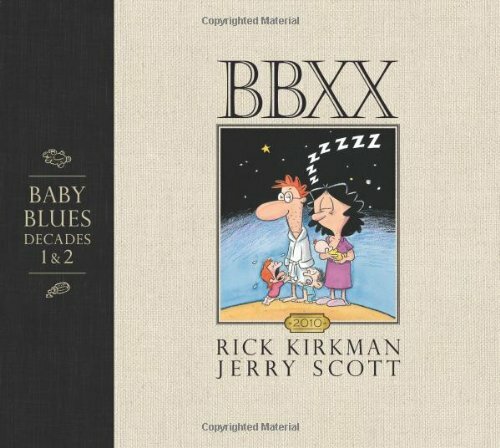 Order ‘BBXX: Baby Blues: Decades 1 & 2’ by Rick Kirkman and Jerry Scott, available from Amazon.com by clicking on the book cover above! Know what I miss most about being a new dad? Okay, okay — very little. But I do sorta miss those days when everything that happened in the newspaper comic strip “Baby Blues” was life as I knew it — sticky, steamy and stinky! More than any other strip I’ve read in my lifetime, reading “Baby Blues” while you’re a new parent always made it seem like cartoonist Rick Kirkman and writer Jerry Scott had a collection of video cameras wired throughout our home. The things that happened to Darryl and Wanda always happened to Mimi and me, too! Rick Kirkman sketched this image of ‘Baby Blues’ character Hammie flying during this exclusive Mr. Media video interview! That, of course, is the brilliance of any great literature, whether it is Dickens or Schulz, Eisner or Spielberg. If it is applicable to our own lives, we love and appreciate it all the more. I recently had the thrill of reading BBXX, a.k.a. Baby Blues Decades 1 & 2, a beautifully packaged collection of the best Baby Blues strips from the feature’s first 20 years, chosen by the creators themselves. In addition, the individual comics are liberally sprinkled with memories and anecdotes from Kirkman and Scott, explaining the inspiration behind some of their best gags. There are also character sketches from the pre-history of the strip and a collection of some of the best Sunday title panels you’ve probably never seen. Rick Kirkman and Jerry Scott were on Mr. Media a couple years ago but I invited Rick back today to talk about the new collection and also to discuss his nomination this year by the National Cartoonists Society as Outstanding Cartoonist of the Year. It is a very tough candidate class, too: besides Kirkman, Stephan Pastis of “Pearls Before Swine” and Brian Crane of “Pickles” are also nominated. The Reuben Award winner will be announced on May 25th, 2013 at the annual NCS Reuben Awards dinner in Pittsburgh, PA.
You can see ‘Baby Blues’ co-creator and 2013 Cartoonist of the Year nominee Rick Kirkman draw these sketches in the exclusive Mr. Media® video interview at the top of this page!